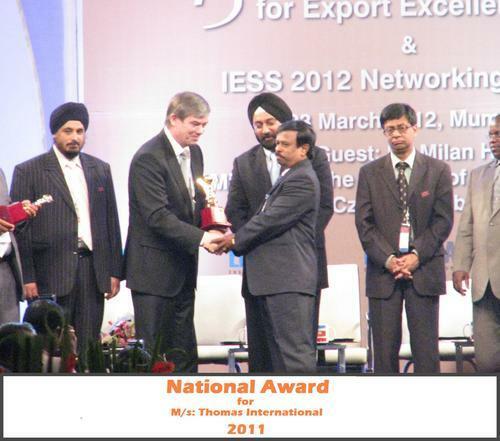 We, Thomas International, are a noteworthy manufacturer and supplier of Agro Based Machinery, serving since the year 2003. We have started our business with a mission to provide the world class products that include Various Products, Agricultural Machineries and Cassava Processing Machineries. All these products are available with us at the pocket friendly costs and we try to deliver in the promised time frame. We are determined firm that always work for the benefit of our customers from agriculture domain. With this positive approach we have become the leading entity of domain that offers only the best agricultural products to our patrons. With our customer's centric vision and domain expertise we have been successful in establishing good relationship with our clients that is based across the nation. All our products are manufactured as per the exact customers' requirements and latest industry quality benchmarks. Similarly, these provided facilities are best in terms of their performance, structure, and low maintenance finish. By providing value products in the market we have acquired a special place in the domain and have gained continual acknowledgment from our clients. At our product base each product undergoes different quality check procedures so that no chance for defects is left. We have assigned the responsibility to our quality controllers that manage the entire procurement process in a precise manner. Later on, all the procured machinery goods are sent to our warehouse where they are kept safely. Similarly, all the products are packed using superior quality packaging methods. With all these well-managed facilities we are capable of fulfilling the customers' demands with perfection and ease. 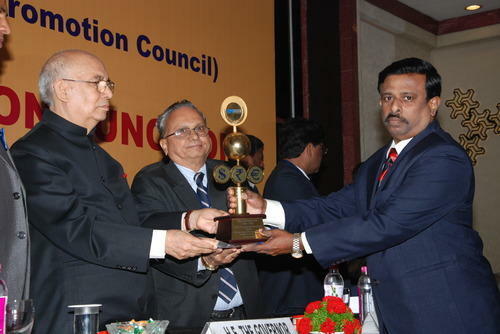 Mr. Rajiveer Pinheiro (Partner) is our mentor which has been providing us guidance from over many years. Using his knowledge and domain expertise today we are able to successfully complete our promises that we have made to our clients. 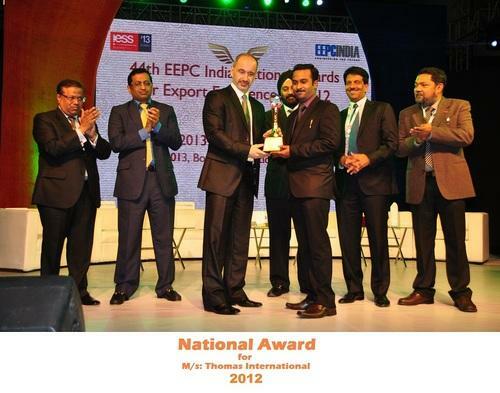 National Award for TOP EXPORTERS for product group. 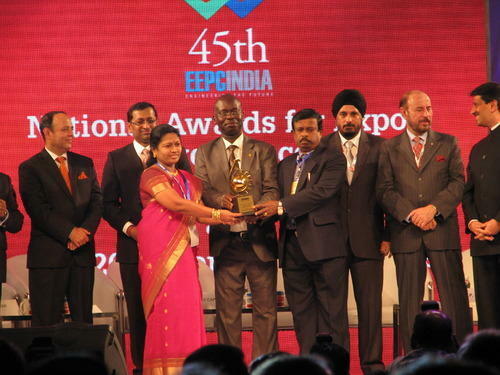 Regional Award for TOP EXPORTERS for product group. Our entire team is like unbreakable chain that work in sync to each other by following all the company guidelines & norms. We have skilled technician, engineers, laborers, supervisor, and sales & marketing staff. In the entire market of agro machinery products we are processing the best array of products that is possible only by the help of our dexterous professionals. Our entire team is trained on the domain and work seriously in such a way that no space for errors is left in the finally prepared product category. Additionally, we give prompt reply to customer’s feedback & queries. 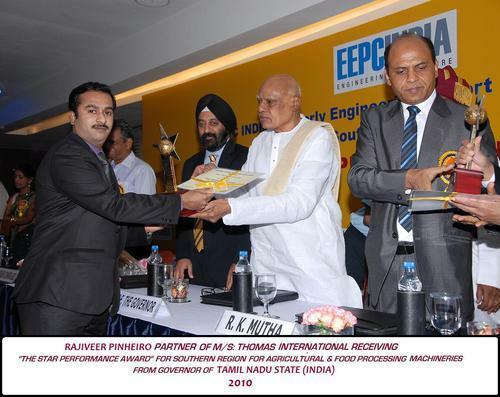 Additionally, the world-class array of agro machinery is known for its seamless operations and premium features. With over 12 years of experience, we are today able to offer best standards of quality in our provided product facility that mainly include agro based machinery. For the full assurance of quality we apply best & innovative methods at our procurement base in order to come up with a completely defect-free range of products. Following all these standards, we have become the primary choice of our customer’s that is serving finest quality of products to the clients. Additionally, our consistent business approach and ethical dealings also gain the trust of our customers. Our products are widely appreciated owning to the blend of technology & innovation.